Situated in the heartland of Austria and the Eastern Alps the Hohe Tauern National Park has international status as a World Heritage Site. Its stunning valleys are headed by scores of peaks that are home to some of the best huts in the Alps. This guidebook concentrates on three areas – the Reichen, Venediger and Gross Glockner Groups. In each section, descriptions are provided for various hut-to-hut tours along with excursions and recommended climbs. This guidebook describes five routes in the Reichen Group, the Venediger Group and the Gross Glockner, any of which would make an ideal introduction to the delights of Alpine trekking. 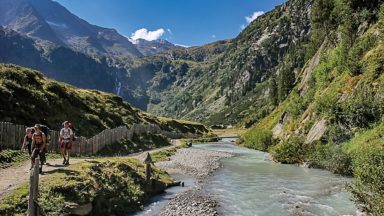 There are 4 multi-day treks described and a 10-day traverse of the whole region from Mayrhofen, through the Reichen Group and across the Venediger to end with a climb on the Gross Glockner is outlined. 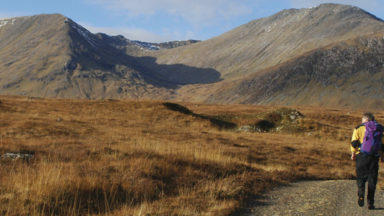 Routes described in this guidebook, such as on the Reichen Group Runde Tour and the Venediger Hohenweg, vary from traditional mountain paths to tracks across boulder fields and rough ground. There is also steep ground, late summer snow and fixed wire ropes here and there to aid stability. 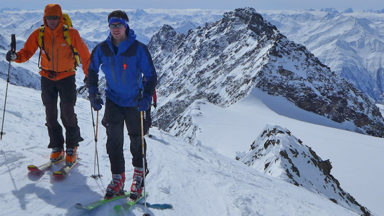 The Hohe Tauern provides opportunities for all mountain enthusiasts, whatever their aspirations. 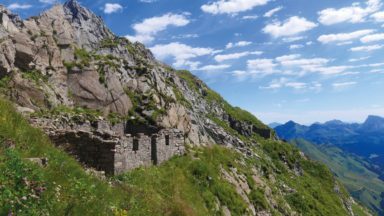 It is ideal for the first time visitors to the Alps, particularly family groups with adventurous children, but it is even more so for aspiring alpinists, who would be wrong to see the Hohe Tauern as tame. 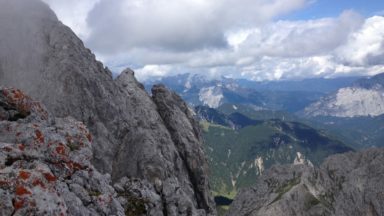 These mountains can challenge even the most experienced alpinist, you will not be disappointed. The tours are moderately strenuous and require the ability to carry a full pack for an average of six hours a day. 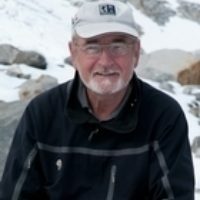 In terms of alpine grading, the majority of the routes fall into the mountaineering grade of easy to moderate, comprising of sustained mountain walking, requiring the ability to negotiate steep ground, scramble over rocks, cross late summer snow, make use of fixed wire ropes and have a good head for heights. Stage 2 Essener Rostocker Hut to Johannis Hut via the Turmljoch. The following are available from the UK Section of the Austrian Alpine Club. Freytag & Berndt Wanderkarte sheet 152 scale 1:50,000 (Mayrhofen-Zillertaler Alpen-Gerlos-Krimml). Rudolf Rother Wanderkarte 1:50,000 scale (Glockner, Granatspitz and Venediger groups). still passable but proceed with utmost caution. 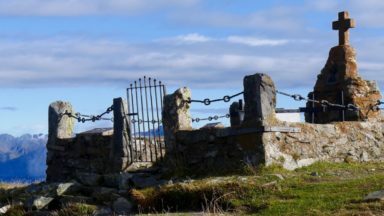 Page 97, top of the page, signpost at the junction. removed, accordingly follow the safer well marked route for the Gletscherweg. Note that the Heinrich Schwaiger Haus is closed for the foreseeable future. Alternative accommodation can be sought at Fuerthermoaralm located at Mooserboden Stausee reservoir. Allan Hartley’s colour photo-studded gospel of Europe’s largest National Park and World Conservation Area concentrates of three mountainous areas. The guide provides descriptions of various hut-to-hut tours in the region, along with excursions and recommended climbs. This along with the wealth of detail included makes it ideal for first time visitors to the Alps, especially family groups with adventurous kids.